UNICORN STUFFED ANIMAL - Meet Sparkles the Unicorn! 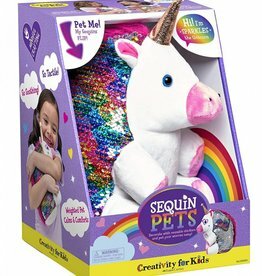 This adorable, sparkly rainbow unicorn comes ready to craft, pet and cuddle. Decorate with reusable stickers and pet your worries away!